Round shapes are available from 1mm to 15mm and in any quantity. 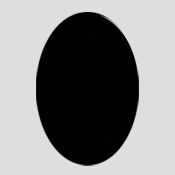 Oval shapes are available from 4X3mm to 20X15mm and in any quantity. Heart shapes are available from 3mm to 15mm and in any quantity. Trillion shapes are available from 3mm to 15mm and in any quantity. Pear shapes are available from 4X3mm to 20X15mm and in any quantity. Square shapes are available from 2mm to 15mm and in any quantity. Octagon shapes are available from 5X3mm to 20X15mm and in any quantity. Marquise shapes are available from 4X2mm to 20X10mm and in any quantity. Baguatte shapes are available from 4X2mm to 14X10mm and in any quantity. 1) Just visit our virtual showroom, select the perfect marble for all your needs and call us. 2) We will confirm your booking. Make a payment online. 3) Your marble will be delievered at your doorstap and ola!!! You are entitled for 7% off on your billing.